The best thing would be for Democrats to ask her to step down now. It would be the most responsible thing to do, if the nation were more important to them than power. And the American news media -- fairly or not firmly identified in the public mind as Mrs. Clinton's political action committee -- should begin demanding it. Remember that Bill Clinton leveraged the "Year of the Woman." Then he preyed on women in the White House and Hillary protected him. But the political left -- most particularly the women of the left -- defended him because he promised to protect abortion rights and their other agendas. 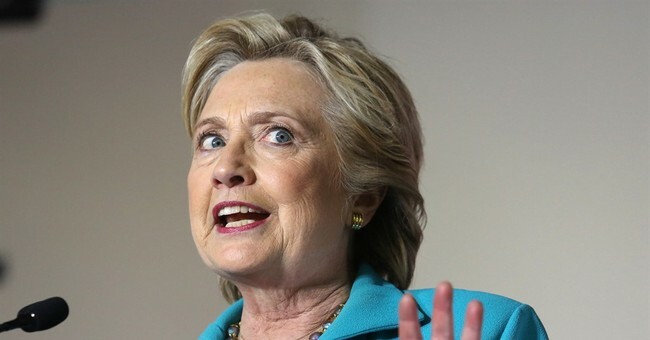 I've always figured that, as secretary of state, Clinton kept her home-brew email server -- from which foreign intelligence agencies could hack top secret information -- so she could shield the influence peddling that helped make the Clintons several fortunes.